What Rights Does the Non-Custodial Parent Have When Parenting? 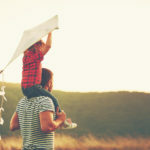 Posted in California law, Children, Family Law, Parental rights, Unmarried Parents, Visitation Rights | Comments Off on What Rights Does the Non-Custodial Parent Have When Parenting? I Am a Custodial Parent, What Are My Responsibilities? Posted in California law, Child Support, Children, Conflict Resolution, Divorce, Family Law, Parental Relocation, Parental rights, Unmarried Parents, Visitation Rights | Comments Off on I Am a Custodial Parent, What Are My Responsibilities? What Are Child Protection Orders? How Can They Help? 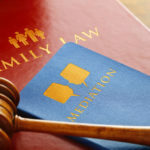 Posted in California law, Children, Divorce, Family Law, Parental Relocation, Parental rights | Comments Off on What Are Child Protection Orders? How Can They Help?